Here is a list of basic Chinese word and pronunciation. This is one of the best ways to start learning Chinese. Learn the first 100, 250, or 500 most important words and start applying them with practical sentences and more! The most important note to remember, though, is to make sure your pronunciation and tones are correct! If you don’t have these down, then no native speakers can understand you. For each word, we’ve provided the Chinese character, the pinyin, the part of speech, and the English meaning. Use the pinyin to make sure you’re nailing the pronunciation and tone. For those of you that don’t know pinyin, please come to check out our Pinyin course which has 6 lessons to teach you everything you need to know. Quick quiz! How to do the “J” sound in pinyin? How about “zh?” Are they the same? Can you hear the difference? 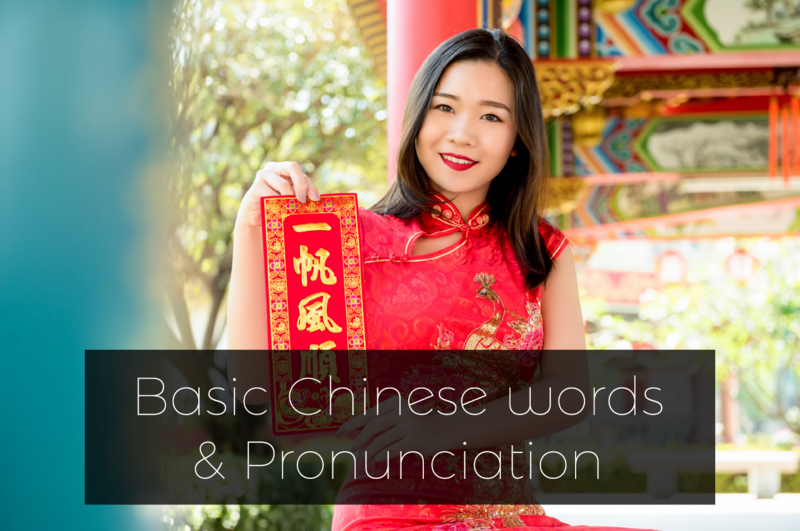 If you’re not sure, then watch our quick review video of all Chinese pronunciation and our video on the tones. 张 zhāng Measure word a measure word for photograph, picture, paper, table etc. This entry was posted in Chinese Grammar, Chinese Language Learning, Learn Chinese quickly and tagged basic chinese words, learn chinese, pronunciation. Bookmark the permalink.